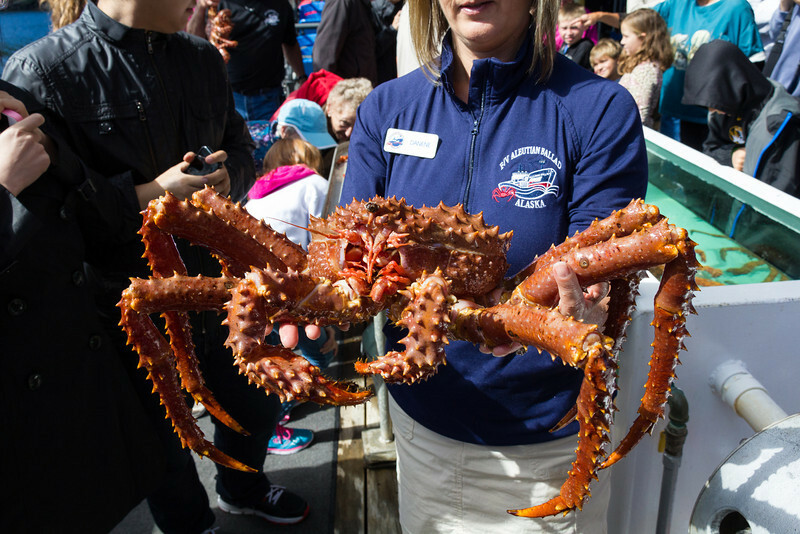 Alaskan King crab. They pulled in dozens of these in a big square trap. Alaska fishing licenses are fixed in number, coveted and very valuable. This ship's license (just the rights) is worth several million should they ever sell it.